A long-promised replacement for Vine, which Twitter discontinued two years ago, should finally launch next spring. "Our new looping video app is called Byte. Launching spring 2019," Vine cofounder Dom Hofmann told Twitter readers on Thursday. No other details were made available, though Hofmann confirmed the upcoming service is "V2," or a second-generation Vine app. The app will presumably follow a structure similar to Vine, which let people record video loops via tap-and-hold recording. Many used this to creative effect, including celebrities. Vine was founded in June 2012 but was snapped up by Twitter before its January 2013 launch. The service reached as many as 200 million users by the end of 2015. In spite of its popularity however, Twitter began winding it down in October the following year, citing monetization difficulties. A number of high-profile internet celebrities got their start on Vine, later transitioning to platforms like YouTube. Hofmann announced plans for a Vine successor in November 2017. Its development was temporarily postponed a short time later because of legal and funding issues. People looking to learn more about Byte can sign up for email updates. It’s probably ready to go now, but they are being all mysterious and teasing to build hype. Byte isn’t a great name, IMO. The big problem is everyone's moved on. The people who made their names creating content on Vine are all on YouTube, and some of them are actually on Television, and making shirtloads more money. They're are also a bunch of other platforms in the space that are competing, but none of them seem to have gotten anywhere. Snapchat and Instagram Stories have probably had the most success, and those are built around impermanence. IMO, Byte is an awesome name but not necessarily for a video hosting service. 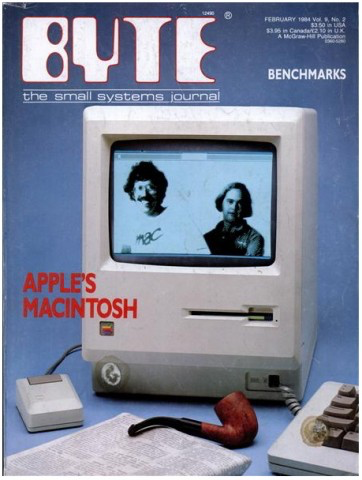 I have many fond memories of Byte Magazine and especially Dr. Jerry Pournelle's Chaos Manor column. It won’t be a great app either.